We now have a super version of this effect, using solid brass tubes and a much bigger ball, using props that can be handled by the audience. 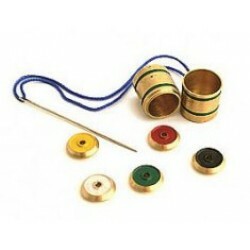 The performer displays a solid brass tube, measuring some 2.25″ long and 0.5″ in diameter. He also displays a solid steel ball, which is larger in diameter than the bore of the tube. There is no way the ball can go into the tube. Yet at the performer’s command the ball mysteriously sinks into the tube, then pops out again. This is a piece of precision mechanical engineering, and the same gimmicked tube can be handled by a member of the audience without exposing the secret. However, if you should wish to give the tube for detailed scrutiny, we also supply you an un-gimmicked duplicate matching tube, which you can easily switch for the faked tube. 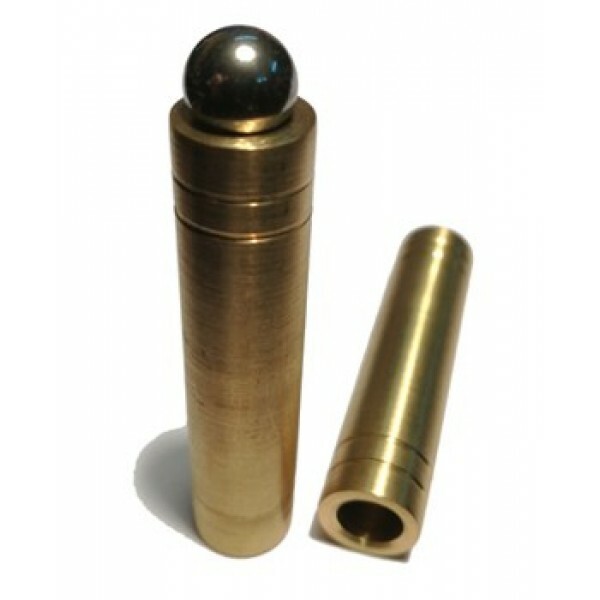 Super Steel Ball & Tube is supplied complete with the two solid brass tubes, steel ball, and full working instructions.